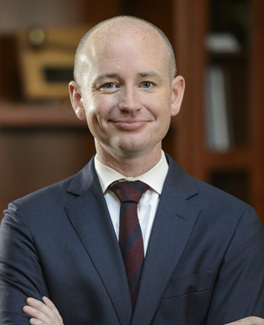 Mike Mullin is a career trial lawyer and a member of the Virginia House of Delegates representing Williamsburg, James City County, York County, and Newport News. Those two roles gives him a special perspective on the court system here in Hampton Roads. In fact, as a member of the House Criminal Law Subcommittee, Mike has a hand in writing Virginia’s criminal laws. After almost a decade as a criminal prosecutor, Mike has tried every type of case possible in Virginia courts. He now focuses his practice to the areas of DUI, Misdemeanor & Felony Criminal Defense, Juvenile Crimes, Child Custody, Divorce, and Personal Injury. When not working as an attorney or delegate, Mike lives with his family in Newport News. If he has a free moment, he is an avid runner.